Fire and forget! Light the fuse and watch a stream of rockets barrage enemy locations with this new item. Note: We’ve begun testing a new schedule for Limited Time Modes. Playlists will rotate every couple of days to allow a more diverse amount of modes to be available over the course of a week. Fight for a Victory Royale using a limited set of weapons and items, such as Hunting Rifles, Shotguns, and Dynamite. This town ain’t big enough for the hundred of us! Increased the chance for Slurp Juice to appear in Supply Drops. Unvaulted the Revolver and the Double Barrel Shotgun for this mode. A thrown item that launches a barrage of bottle rockets to the toward the targeted direction. Found from Floor Loot, Chests, Vending Machines, Supply Llamas, and Supply Drops. Drops in stacks of 2. Max stack size of 6. Fires 45 rockets of varying speeds randomly within a cone over roughly 9 seconds. Deals 10 player and 40 environmental damage per explosion. Max 2 active per player. Campfire props in the world can now be lit by interacting with them. Behaves like the Cozy Campfire, healing 2 health per second for 25 seconds to all nearby players. 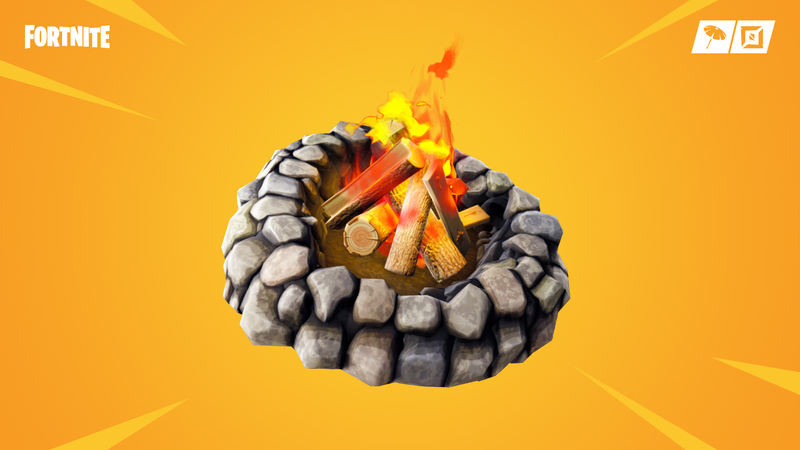 Each campfire can only be used once per match. You can tell if a campfire has been used by whether or not you can still see wood in it. Reduced the chance of receiving rocket ammo out of ammo boxes from 12% to 6%. Increased the impulse strength of the Launchpad by X%. Reduced the chance to receive Dynamite from Chests from X% to Y%. Sneaky Snowman will no longer drop from Chests. Lowered the volume of the beep. Removed the ability to edit enemy structures. Thank you for your feedback!